Our product range gathers various powerful machine tools for the metal cutting industry. Leading supplier in the field of complete machining and produces multifunctional turning-boring-milling centers. specialized on the development and production, the service and distributing of intelligent, flexible milling and boring centers as well as vertical turning and milling centers. A global partner offering optimised manufacturing solutions and a comprehensive range of services for the metal-cutting industry. DMG MORI brings together German and Japanese tradition, precision and technological leadership in CNC Lathes and Milling Machines. 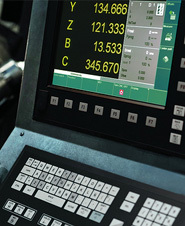 The EMAG Group products cover the entire spectrum of machining processes in the metal working industry. 5-AXIS MACHINING CENTER: Combined milling and lathing 5-axis CNC processing and machining, compact processing center with a very small footprint and high precision milling. We offer Machine tools such as Turning Centers, CNC Lathes, Engine Lathes and Machining Centers, Plastic Processing Machines and Gray and nodular castings, supplied rough or machined. We have produced manufacturing machines for 50 years and build highly complex tool manufacturing and rotary indexing machines for you, so you can work quickly and economically with a variety of workpieces. A world leading manufacturer of modern standard and special tools for demanding machining tasks in turning, milling and drilling. EUSKRON provides our customers high value customized cutting tools to gain competitiveness. BOST MACHINE TOOLS COMPANY offers to its customers a comprehensive service including the design, manufacturing and installation of heavy duty and extremely accurate machine tools. We manufacture a complete line of CNC vertical as well as horizontal machine centers and also lathes and rotary products. Based on concentrated know-how and experience in metal cutting technology, we are able to offer customized solutions for machining on lathes, up to competent support and optimization of your manufacturing processes. Exceptional Quality and unique Machining Solutions made in Korea. Horizontal and vertical turning and machining centersmade for your Application. Leading supplier of motor spindles as well as directly driven 2-axis heads and rotary tilt tables for the machine tool industry. Cutting systems, milling, lathes, eroding, drilling, grinding and sawing machines. Kaas offers an excellent price/ value ratio for its products and has steadily growing market share. We develop and manufacture products for machine automation and control. We innovate and deliver turnkey solutions and stand-alone applications for machines used in high-tech industries and for customers demanding the highest technological requirements. Leading Producers of Metal Removal Technology offering groove-turn tools, turning and threading, hole making, milling, toolholding and grades. We carry out hard fine-machining for various workpieces on highly automated single-spindle and twin-spindle vertical lathes. Korea’s top machinery manufacturer in Infrastructure Support Business including construction equipment, machine tools and engines. Machines, tools and automation: Threadrolling and cold forming tools. We are the market leader in vertical CNC machining centers. The wide range of our products offers perfect solution for every task. 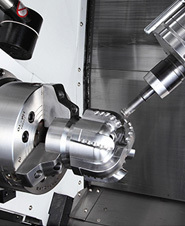 STAMA develops machining centers and milling-turning centers for top manufacturers worldwide in countless industries. 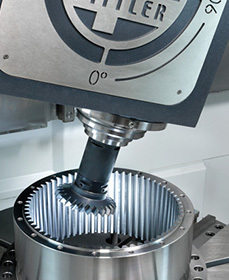 Offers a broad range of turning, milling, and gear manufacturing technology with the knowhow of the machine tool brands VDF Boehringer, Hüller Hille, Hessapp, Honsberg, Modul and Witzig & Frank. The Meyco Diamantwerkzeug Group enjoys long-standing experience in the manufacture of a wide range of different diamond tools and other diamond products.